The SUNRISE APS is a fully automatic plate processing system. 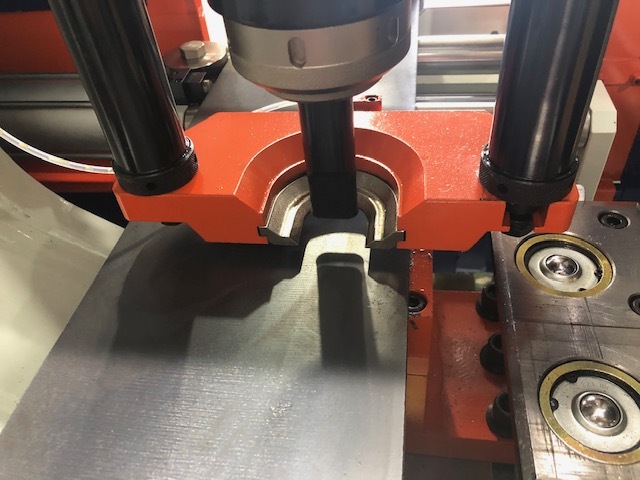 The Operator loads the flat bar onto the all-steel in-feed rollers, the system engages the plate with pneumatic clamping and squaring devices and then processes the material by automatically punching and shearing to length utilizing an industrial strength rack and pinion drive system. The SUNRISE APS can be connected to your local internet by WiFi or Ethernet to access part files, DXF files and more. Copies of the off-line software are available for quick layout and upload to the machine. Ideal for base plates, connection plates and more. Controller: NEXCOM PC Touch-Screen Controller featuring a 15″ touch-screen, flash-memory, auto-nesting ability, multiple plate patterns, WiFi, USB, TeamViewer Remote Log-in, DXF Import and more. (Demo below). – Rack and Pinion Drive System; expandable up to 40′. – Triple Punch Feature with Hydraulic Stripper – Automatically choose any of three punches to use per hole. No need for tooling changes mid-run. 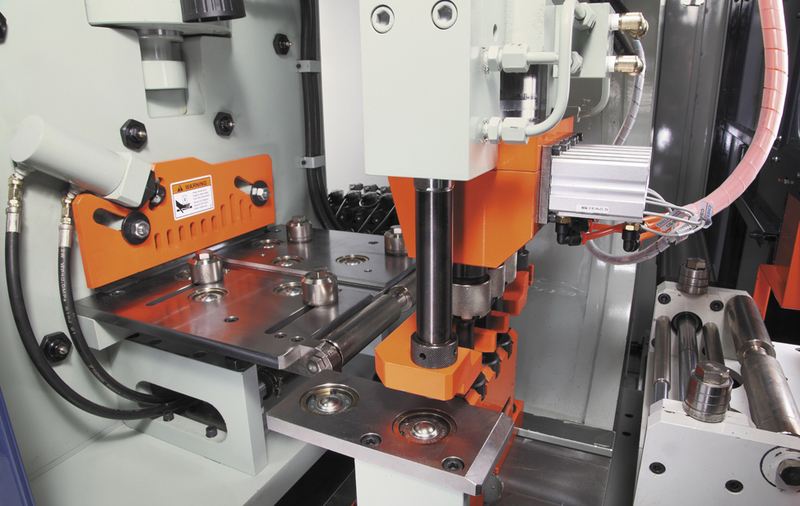 Optionally choose the single-punch head for processing up to 2″ holes! – Adjustable guide rollers for squareness. 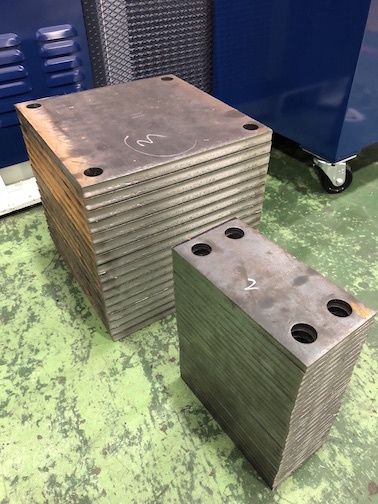 – Anti-Twist Sheet Support System ensures square cuts on every sheared part with no slug loss and only 6″ scrap per 40′ run! – Fully enclosed punching and shearing operations for operator safety including interlocked access doors provide quick ability to change punch and die, access hydraulic and electrical components and more. -Integrated hydraulic oil cooling system. – Pneumatic Material Stamp – Features up to 3 lines of text, each with 10 characters. We proudly offer products from Italy, Sweden, Turkey and Taiwan. Trilogy Machinery, Inc. is committed to bringing the highest standards of professionalism, integrity and service in order to achieve a reputation as a leader in the metal fabricating machinery industry. We believe this dedication will benefit everyone– our customers and dealers, our team members and our suppliers. Roundo® is a registered trademark of Boldrini S.R.L. Boldrini has not formally designated Trilogy Machinery as an authorized distributor or service provider for Roundo® products. © 2009-2019 Trilogy Machinery, Inc. All Rights Reserved.